People who have pets often refer to themselves as “pet parents,” but how closely does the relationship between people and their non-human companions mirror the parent-child relationship? 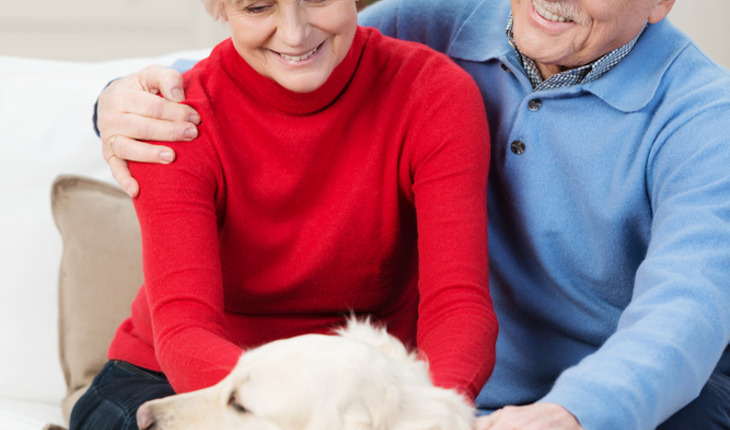 A study done by a group of Massachusetts General Hospital (MGH) researchers looked at young mothers who also had dogs but here at ThirdAge we’re betting that a study of older “pet parents” would yield similar results. The MGH team investigated differences in how important brain structures are activated when women view images of their children and of their own dogs. The report was published in October 2014 in the open-access journal PLOS ONE. The release notes that in order to compare patterns of brain activation involved with the human-pet bond with those elicited by the maternal-child bond, the study enrolled a group of women with at least one child aged 2 to 10 years old and one pet dog that had been in the household for two years or longer. Participation consisted of two sessions, the first being a home visit during which participants completed several questionnaires, including ones regarding their relationships with both their child and pet dog. The participants’ dog and child were also photographed in each participants’ home.